LONDON--(BUSINESS WIRE)-- Pentair is proud to announce that it received the 2019 ENERGY STAR® Partner of the Year – Sustained Excellence Award for continued leadership and superior contributions to ENERGY STAR. This honor marks the sixth year that Pentair has garnered recognition for its continued leadership in protecting the environment through superior energy efficiency achievements. 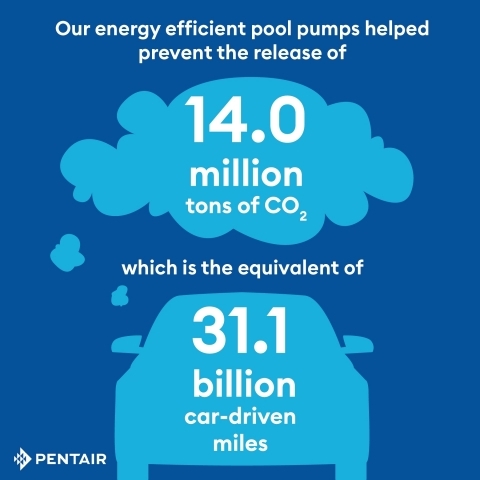 Pentair’s accomplishments will be recognized by the U.S. Environmental Protection Agency and the U.S. Department of Energy at a ceremony in Washington, D.C. on April 11, 2019.